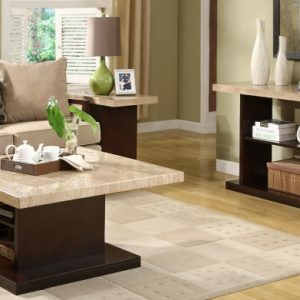 Gear up for a stylish living room with this sleek and unique table! 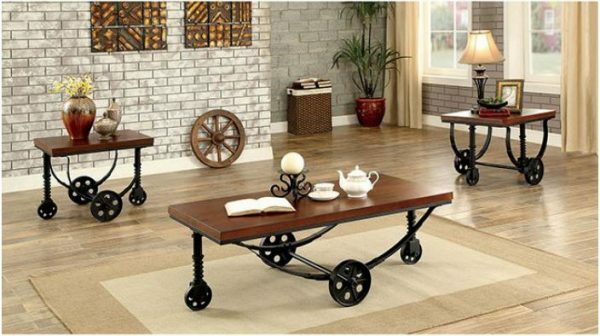 The thick wooden tabletop rest atop sturdy metal legs that stretch down before arcing across the bottom as sturdy support beams. Various-sized fixed caster wheels offer plenty of support to complete the industrial design.